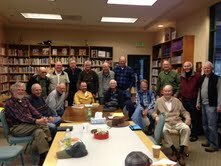 Men join to explore matters of interest, including matters raised in book readings and more. All are Welcome! Ralph Delamarter is the contact person now.